Will-Moor is proud to announce another 2019 State Champion! Mallory’s winning score was a 9.50 in the level 9 Jr C age division. 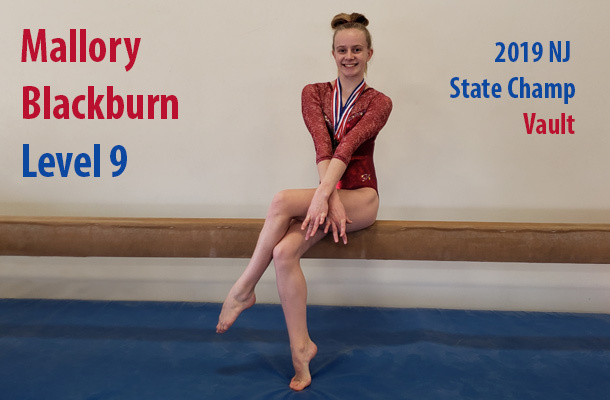 She also placed 2nd on beam and 3rd All Around at the NJ State Championships held on March 16, 2019 at Rutgers University.